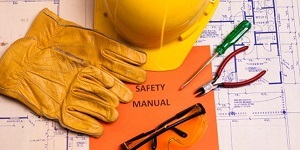 Employers have three options for reporting these severe incidents to OSHA. They can call their nearest area office during normal business hours, call the 24-hour OSHA hotline at 1-800-321-OSHA (1-800-321-6742), or they will be able to report online. (Please note that the online reporting will not be available until later this month.) For more information and resources, visit OSHA's Web page on the updated reporting requirements and watch OSHA’s new YouTube video, where Dr. David Michaels, assistant secretary of labor for occupational safety and health, explains the new reporting requirements. Employers with 10 or fewer employees and employers in specific low-hazard industries are normally exempt from federal OSHA injury and illness recordkeeping and posting requirements. Due to changes in OSHA’s recordkeeping requirements that went into effect Jan. 1, 2015, certain previously exempt industries are now covered. Lists of both exempt and newly covered industries are available on OSHA's website. Visit the Updates to OSHA's Recordkeeping Rule Web page for more information on recordkeeping requirements. OSHA cited Boomerang Tube with 18 violations after a follow-up inspection found the Liberty, Texas, company continued to expose workers to unguarded machinery and other hazards. Proposed penalties total $283,600. "When Boomerang Tube neglects to fix hazards that expose workers to possible injuries or worse, it callously puts workers in harm’s way. That is unacceptable," said David Doucet, OSHA's area director in the Houston North Area Office. "Boomerang Tube employees deserve to work in an environment free of hazards that threaten their livelihoods and lives." Boomerang Tube was cited for failing to protect workers from falls from heights of 4 to 15 feet in a storage yard and exposing workers to falls from an open-sided floor with no walls. Additional violations include failing to lockout machines to prevent accidental start-up during maintenance, install guarding on machines and electrical panels, and slip hazards. In 2011, OSHA placed Boomerang Tube in its Severe Violator Enforcement Program, which focuses on noncompliant employers who endanger workers by committing willful, repeat or failure-to-abate violations. For more information, read the news release. In response to a worker complaint, OSHA investigated Concrete Systems Inc. in Hudson, N.H., and found workers in danger of falling, being crushed and exposed to dangerous noise levels because required safeguards were not implemented. The company was cited with 26 willful, serious and other violations, and issued proposed fines of $230,400. OSHA also issued a $7,000 proposed fine to Marathon Staffing Services Inc. for failing to provide audiograms to temporary workers who were exposed to excessive noise levels at CSI. "Concrete Systems chose not to provide required safeguards and exposed workers to potentially fatal or disabling falls and possibly hearing damage," said Rosemarie Ohar, OSHA's New Hampshire area director. "The company must act swiftly and effectively to eliminate these hazards and prevent their recurrence to protect the health and safety of its employees." Hazards found during the inspection include workers exposed to potential crushing by a lifting device, workers on top of formwork and concrete structures without fall protection and exposed to excess noise levels while operating casting machinery, unguarded saw blades and hazardous electrical equipment. For more information, read the news release. CS Metals Inc. was cited for willful, serious and repeat safety violations after an OSHA investigation found the company's workers exposed to dangerous levels of lead, arsenic, iron oxide and copper particles and fumes while torch-cutting steel at a scrapyard operated by OmniSource St. Marys. CS Metals failed to provide workers with required personal protective equipment or health monitoring. OSHA proposed a fine of $378,070 and placed the company in its Severe Violator Enforcement Program. "CS Metals failed its workers by not providing personal protective equipment and monitoring exposure levels to metal dust, which can cause severe, long-term health effects to the central nervous system and vital organs," said Kim Nelson, OSHA's area director in Toledo. "OSHA's investigation found deficiencies with CS Metals' compliance programs for lead exposure, arsenic and other hazardous air contaminants. These violations must stop." OSHA initiated an inspection under the National Emphasis Program for Leadafter receiving a complaint alleging unsafe working conditions. CS Metals was cited for violations including failing to require workers to shower after work shifts to prevent metal particles from being transported, implement controls to limit exposure and provide disposal containers for lead-contaminated clothing. Additionally, OSHA issued citations and fines to OmniSource St. Marys and Master Maintenance, the host employer and subcontractor respectively, for exposing workers to lead. For more information, read the news release. A pilot working for Air Methods Corp. was illegally terminated for refusing to fly a medical transport helicopter with a faulty emergency locator transmitter. Following an investigation, OSHA ordered the company reinstate the pilot, pay $166,000 in back wages and damages and remove disciplinary information from the pilot’s personnel record. The company must also provide whistleblower rights information to all employees. "Pilots should never have to choose between the safety of themselves and their passengers, and their job," said Nick Walters, OSHA's regional administrator in Chicago. "Whistleblower protections are critical to keeping workplaces safe. Disciplining an employee for following safety procedures is illegal and puts everyone at risk." OSHA found that Air Methods Corp., the largest U.S. provider of air medical transportation services, violated the Wendell H. Ford Aviation Investment and Reform Act for the 21st Century when it fired the pilot who was assigned to the company’s Lucasville, Ohio station. AIR21 protects employees who report air safety information and it is one of 22 whistleblower provisions that OSHA enforces to protect the rights of workers who report various violations of law by their employers. For more information on this case, read the news release. Metro-North's actions against an injured worker have resulted in the issuance of maximum penalties, the largest punitive damages ever in a worker retaliation case under the Federal Railroad Safety Act. A recent OSHA investigation revealed that the worker, who is employed as a coach cleaner for the commuter rail carrier, was retaliated against after reporting a knee injury he suffered on the job. Other employees who suffered job-related injuries did not report them out of fear of reprisal. Proposed penalties include $250,000 in punitive damages and $10,000 in compensatory damages and attorney fees. "When employees, fearing retaliation, hesitate to report work-related injuries and the safety hazards that caused them, companies cannot fix safety problems and neither employees nor the public are safe," said Assistant Secretary of Labor for Occupational Safety and Health Dr. David Michaels. "In this case, the Metro-North's conduct was deliberate and discriminatory, and we have assessed the maximum amount in punitive damages allowed under the law." In addition to paying punitive and compensatory damages, OSHA ordered Metro-North to expunge the employee's record of all charges and disciplinary action. The company must also conduct training for all supervisors and managers on employee whistleblower rights and post a notice to employees of these rights. For more information, read the news release. The National Institute for Occupational Safety and Health and OSHA have published a new guidance document, "Preventing Worker Fatigue Among Ebola Healthcare Workers and Responders". Healthcare workers and emergency responders are often required to work extended, rotating, consecutive or otherwise unusual shifts. They also need enhanced personal protective equipment when working with Ebola patients or in Ebola-contaminated areas. These conditions increase the risk of injuries and can contribute to poor health and worker fatigue. The new guidance document provides information for protecting workers in these conditions. For more information about protecting workers from occupational exposure to Ebola virus and related hazards, also see OSHA's Ebola Web page. A recent NIST blog highlights companies that have dramatically reduced workplace injury and illness rates with assistance from OSHA's On-site Consultation Program. OSHA and the National Institute of Standards and Technology are teaming up to protect workers in small manufacturing businesses from hazards that can cause injuries and illnesses. Through OSHA's On-site Consultation Program and NIST's Manufacturing Extension Partnership, the agencies are combining resources to reach small and mid-sized enterprises, which represent nearly 99 percent of manufacturing firms in the United States. NIST provides support to individual manufacturers through its nationwide network of experts and business professionals in local centers. OSHA's On-site Consultation Program offers free and confidential safety and occupational health advice to small and medium-sized businesses in all states across the country and in several territories. For more information, go to OSHA's website to read about the OSHA-NIST collaboration. OSHA is soliciting applications for its 2015 Graduate Nurse Internship Program. The internship is designed for registered professional nurses pursuing a graduate degree in either occupational health nursing or public health with an occupational health focus. Internship rotations are a full-time, consecutive eight-week educational opportunity scheduled between May and September. Selected interns are assigned to the Office of Occupational Health Nursing in OSHA's National Office in Washington, D.C. Visit OSHA’s website for applications materials and more information. Questions should be directed to Sheila Arbury at (202) 693-2547. All applications must be postmarked no later than Jan. 31, 2015. If you use a smartphone or a tablet on the job, important worker safety and health information is a click away. Dozens of electronic publications can be downloaded at no cost from OSHA's Publications Web page. To order publications, contact OSHA's Publications Office at 202-693-1888.